The fire-affected neighborhoods in Sonoma County’s District 3 » includes, but is not limited to, Fountaingrove, Hidden Valley Estates, and Journey’s End. Supervisor Zane’s » team has kindly agreed to let me post the notes from their weekly block captain meetings. Please forgive any errors from copying and pasting. As a reminder, things change over time, and each home and neighborhood differ, so be sure to check with the appropriate agency for current information. See Resources » Rebuilding » and Insurance » for some links. The notes below include a link to the presentation and report by Fire & Emergency Services Interim Manager Chris Godley – analysis and recommendations following the October 2017 wildfires. I highly recommend watching the video of Godley’s presentation to the Board, but the link will also provide you with the written report and PowerPoint. I attended the City Council meeting last week in which there were two reports on the water issues – benzene and the impacts on the water system in the Fountaingrove area on October 8&9. Jennifer Burke, Deputy Director of Water & Engineering will present to us Thursday on the benzene issue, and here is a link to the City’s press release with the report on the impacts embedded in it. Will horns or sirens be tested during the 9/10-9/12 emergency alert tests? No, the sirens will not be tested. Currently utilized by volunteer fire companies for the sole purpose of calling their volunteers to the firehouse. Most are currently tested daily and are used regularly. What is the basic information on emergency alerts? What has changed with regard to emergency alerts to improve the system based on what was learned last October? Michelle has asked Interim Emergency Manager Chris Godley to provide a written response to this question. Godley is also willing to come and talk at an upcoming block captain meeting – likely in early October. Can there be a coordinated neighborhood alert program/call tree to add another layer of redundancy to the system of alerts? The City of Santa Rosa is considering such a program, and it may evolve out of the County’s block captain programs. City of Santa Rosa has been looking at San Francisco’s Neighborhood Empowerment Network as a model. What has been done in the last year to improve emergency preparedness and response? What is the plan to improve and better define evacuation routes? How can fire survivors feel confident that there will be insurance companies willing or required to insure their homes in the future, and at reasonable rates? Why is there no fire station near Hidden Valley Estates? Residents don’t feel safe given the distance to the nearest fire station. Can there be a third party inspector for PG&E line maintenance? There is mistrust of PG&E because they are permitted to self-monitor. Block captains had questions about PG&E plans to de-energize powerlines. Staff to request PG&E address this question either in writing or in person at an upcoming meeting. Sign up for PG&E notifications of shut-offs or de-energization on the Community Wildlife Safety site and more info here: PGE FAQs. Report from ORR: The community workshops have generated over 2,000 comments which will be synthesized and brought to the Board of Supervisors on September 25. With regard to Community Development Block Grant-Disaster Recovery (CDBG-DR) fund – allocation published in Federal Register in late August – California expected to receive $90 million, with a percentage allocated to Sonoma County. The precise dollar amount coming to Sonoma County is not yet known and will be determined by state public administrators – California Housing & Community Development Commission (HCDC). Funds will not become available until 2019. The County will be engaged to advise funding decisions but County staff and local elected officials are not the final decision makers. City and County are coordinating and cooperating on grant applications and pursuing funding that will help both County and City fire survivors. County working with Cal OES on a potential consortium that could provide additional funding to the “missing middle” – those who fall between being the most needy and the most affluent. Federal guidelines for aid requires community input. Once allocations are established, communications to the community will go out. The County will continue to advocate for the unmet needs of County/City fire survivors. Rebuilding homes lost in the fires has got to be the highest priority. Many fire survivors are not anywhere near where they hoped to be in the recovery process, now almost a year after the fires. Emergency alerts must be upgraded to the highest standards, with multiple redundancies in case one or more systems fail. Need systems that can deliver alerts even if electricity and cell service are down. Residents need to feel confident that they will be notified. Many feel that the system failed them. Some block captains got alerts; others did not. Some were alerted by neighbors; others had no contact the night of the fires from neighbors, public safety officials. There was a short discussion on the merits and limitations of horns or sirens but most appeared to want horns and sirens to be considered to complement the alert system. Prevention, response and deployment of resources should be evaluated and upgraded where necessary. Concerns were raised about providing mutual aid to other communities when Sonoma County is vulnerable. Legislators to advocate to insurance companies for extended alternative living expenses (ALE’s), and to continue insuring for beyond two years at same rate. Consider more fire breaks and fuel reduction activities, especially between Napa/Lake/Sonoma Counties. One block captain suggested vineyards as fire breaks. Consult with UC Cooperative Extension experts on fuels and forest management. Regional coordination for 9-1-1 is suggested to make local systems more resilient when it gets overwhelmed during a large scale emergency. Fire survivors would like their communities to be restored to resemble what they looked like before the fires. There is not enough being done to reassure fire survivors that they should rebuild their homes. Regarding fire survivors who fall in between the most needy and the most affluent, aka “missing middle,” there is significant unmet need due primarily to underinsurance and inability to qualify for much of the “needs based” public and private support. They would like to see more financial support made available for the missing middle who are struggling to rebuild. Low or no interest loans could help. The rates for the SBA loans are not any more attractive than what can be found at a local bank. Increasing sources and outreach for mental health services. Create temporary housing to accommodate out-of-area contractors, builders, etc. Example of workers from central CA arriving to help with rebuild but couldn’t find housing. Michelle Whitman reported that Supervisor Zane recently toured county properties to identify appropriate sites for worker housing. Economic development, safety net services, homelessness, new housing, natural resources. Consensus was that these issues are indeed important, but all available resources should be directed at the rebuild first. Subscribe to the Third District e-Newsletter! Gutters – metal holds heat and may allow access to eaves; plastic/vinyl may melt, drop to the ground, hit vegetation and burn. What’s better? County has chipper program available for all County residents (one chipper at present, so in high demand; book for April). Program runs from April to early November. Never shut down last year. Landscape regulations are set by the state. The City of Santa Rosa has taken the state’s regulations, simplified and made them more generic to ease the burden on fire survivors. The landscape requirement applies to front yard landscaping only, although the conceptual designs include backyard landscaping as an option. Front landscape plan must be submitted prior to sheetrock inspection. Examples – pipe chases under sidewalks, irrigation systems, tree softening, soil maintenance, etc. The City has eight different plans developed. Two of the plans meet Wildland Urban Interface (WUI) code requirements without any modification. The other six plans could be modified or “thinned” to fit the code (WUI-ized). There are two eco/edible plans as well. There are two lists of plant substitutions. Landscape plans and installation are being provided as part of some builders’ contracts. A property owner can request that their builder include landscaping in the bid, and many of the larger builders are already doing this, particularly if they are building several homes. Calculate the percentage of plants that are low water use and moderate water use. Retailers like Wyatt would carry irrigation system components. Removes third-party auditor inspecting to ensure plans and actual implementation match. This has eliminated a cost that has generated thousands of dollars of savings. Townhomes are a unique situation. Owners of these properties should consult with City staff. Greywater capture however does require some plumbing adaptation so property owner should let plumbing contractor design. After plans are submitted an inspector will use a checklist to sign off. September is a good month to prepare for erosion control on sites that will remain vacant through the rainy season. There will likely be a storm water management presentation scheduled at an upcoming block captain meeting. Why don’t you take the WUI standards and make them applicable to everyone who rebuilds and make the backyards part of that requirement as well? The amount of landscaping required – beyond the state levels – is up to each local jurisdiction. Why can’t you make that a legal requirement? It would require a code change. Part of it was sensitivity to cost. WUI requirements go beyond just landscaping. After the final building inspection and occupancy, is the City involved in my landscaping? No. These requirements are a product of governance, but there isn’t anything that governs it later on. The link is that you have to provide a landscaping plan to obtain a building permit. How are the HOA applications going? Block Captain & County Updates/Announcements tabled, as well as needs assessment. The 9-6-18 meeting is when the Office of Recovery & Resiliency (ORR) will be conducting a mini-community workshop such as those that were held throughout the five county districts since June. Please take a moment to review the workshop packet if possible prior to the meeting. For those not in attendance, beginning September 31, we will be scheduling the informational speakers to begin at 5.40/5.45. That will allow for quick announcements – to include recent obstacles you’ve encountered or to share some success stories. Passport replacement – From Congressman Thompson’s office: You can write a letter explaining that you were affected by the Sonoma Complex Fires in Sonoma County. They will expedite your application, and will waive the Document Research Fee which they usually charge for lost passports (around $185). You do still have to pay the regular passport fee. On reporting neighbors, properties, or hillsides with overgrowth and fuel sources: What can we do, who can we report to, what are you doing about them, and what timelines can we expect? Right now conditions of burned trees aren’t truly fire hazards. There’s not a high probability of burning again. We are not ignoring them, but need to think about the best use of our resources. Break down your lot into increments (“zones”) of five feet, beginning at your home. On landscape and vegetation management – how to reconcile requirements for low water use and incorporating fire-wise plants? Have plants on landscape list been vetted as being fire-wise? What are typical plants that are flammable? Why cookie-cutter landscape templates – shouldn’t they be more prescriptive to the area the property falls in? Living in this area and maintaining a fire-resistant property is going to be constant work; future planning dependent upon Community Wildfire Protection Plan (more below). On PG&E – what are defensible space requirements related to PG&E poles? Have there been discussions about undergrounding all wires? Why can’t PG&E power down when fires are in area? On the Community Wildland Protection Plan and living in the Wildlife-Urban Interface (WUI); Why are we rebuilding in the path of repeated fires? Shouldn’t we make changes now to prevent future disasters? Within the county, shouldn’t it be a countywide effort? What are standards by city, county, state? Is there an active education program for standing neighbors? Are you talking to insurance companies about future coverage and offering incentives? Can you implement incentives similar to Title 24? On grants and funding – Are you applying for funding? Can you approach private industry? What about asking Keysight? Did Santa Rosa Fire have a problem similar to that of Mendocino fire departments experiencing the throttling down of data service by Verizon? Problem during Sonoma Complex was due to downed cell towers. How to educate out-of-area contractors on WUI building requirements? This workshop will discuss preparing for the 1-year anniversary. Who should attend? Homeowners whose insured homes were damaged or destroyed in the 2017 North Bay wildfires. Certified Financial Planners® are volunteering to help Santa Rosa fire survivors. All advice is free and no business cards will be distributed. Massage, acupuncture, chiropractic, naturopathic, energy healing, life coaching and more. There will be live music, speakers, vendors, sponsors, a silent auction, raffles, a children’s area and snacks and drinks. Supervisor Zane, along with the City of Santa Rosa, met with CalOES, FEMA, and both Federal and State legislative representatives to discuss a game plan to move us forward. Cal OES Director Ghilaraducci reiterated CalOES’ commitment to assisting us and working side-by-side with local agencies, as did a representative from FEMA. More meetings with local officials and CalOES/FEMA will take place in the coming days and weeks to ensure that plan is developed and implemented. Supervisor Zane will continue to advocate on behalf of all survivors to ensure they can rebuild and remain in our community. Informational Speaker – Shannon Hash, Alpha Fire Suppression Systems, Inc. This service provider was recommended by the North Coast Builders Exchange but not meant as a specific endorsement; the presentation was intended as strictly informational and not intended as a sales pitch. Neighbor installing system w/1 ½ inch line to the water main – were told they needed a pump because pressure was not adequate. When you say pressure is “fine,” what does that mean? Just did a house near old fire station and psi was about 56. It’s more than enough at 50 psi to design a house system. We’ve used residential shut-off valve and domestic shut-off valve, so when a sprinkler trips it cuts of domestic source which saves five gallons. May not sound like much, but it makes a difference. Has had two or three meetings with City fire department to make sure everyone is on the same page as to what is required in order to value engineer a house. According to City of Santa Rosa Asst. Fire Marshall Ian Hardage, at the moment there are many valves shut down in the area to avoid overflow. They will be turned back on and pressure will increase. If pump and tank are required to support sprinkler system, what is size and cost? We are doing everything we can to avoid having to require those. It’s a last ditch effort for sprinkler system. Average tank is roughly about 6’ x 6’ x 2 ½’. Can fit inside garage against the wall. Per code, needs to provide a minimum of a ten minute supply – roughly 300-400 gallons, depending on sprinkler layout and demand. Pump is built into tank itself – accessible from outside, but built in. Are pumps backed up by batteries? No and that’s why we are really pushing to not get tanks and pumps. We’re doing everything we can as a company to not require the pump and tanks because we can’t control the power. We’ve heard the system is not really meant to fight wildfires — it’s only meant to buy more time to help you exit safely – e.g., in the event of a kitchen fire. Even if there isn’t a loss of power, the system is not going to save your house, correct? BC: Regulations are there to protect you from domestic events, and not the rare event of the wildfire. Don’t think anyone wants to pay for a system that is capable of saving your house from a wildfire. SH: There was a FEMA pamphlet floating around asking homeowners to provide E protection. Per code is not required with sprinklers. Is there any requirement that is different being in a WUI zone? To an extent. If you have an outside overhang that is greater than four feet, or a deck that includes an outdoor kitchen, we will protect that if you have that covered. If it’s an open trellis, it’s not required. Sounds like you’re super booked. Are you booked out three years? We have our own residential installers and our own residential designers. We’ve had work on the books from large companies involving three story apartment buildings in American Canyon that’s just starting. But we’re also keeping a crew here for houses that were booked from last year. We have no problem giving quotes, as long as there is a general contractor that is providing a timeline that we can meet — it won’t be a problem. I’m not here to push our business. I’m just here to answer questions and help out as much as possible. What other mitigation is there to avoid needing a pump/tank if you’re right on the line? Upsize line to the house, loop a system without any extra elbows and run a loop system on house and that will eliminate the backflow preventer. Has to be tied into toilet – or two toilets, if it’s a two-story house. Different avenues to eliminated backflow preventer – that reduces the pressure. New meters are called an IPearl — digital reader. New meters are better than elbows. Less loss of pressure – ten pounds can be lost between meter and backflow preventer. City requires this type of meters. Do you put the lines to the house? City takes you to the meter, then your plumber brings you to back of meter, across the sidewalk to your backflow preventer and from the preventer to your house. We just size everything to make sure it’s capable of supplying the pressure and flow. Do you design systems or just install? Average or price range? High and low of what you’ve seen so far. Can you lead us through the process? What lead time do you need? Averaging low side $3.50 to $5.00 per sq ft. Depends on number of rooms, size of house – there’s several factors. Ideally, once you have plan approval, we would like to get set of plans — usually within a week or so we can provide quote. At that time, if you’re in agreement with the quote, contract gets signed, and we get you on the list. We want to know when the foundation is going in and when the framing will be started. We have a timeline with the fire dept. — they’re roughly at five to ten days of turning around approved plans for fire survivors. Once approved, property owner gets plans. Let them know once your cans are set for your electrical. One of our pet peeves is aesthetics are important to us. We don’t like seeing one light over here and a sprinkler head over there not in alignment. We pride ourselves on this. What typically happens…contractor will say my electrician is going to start Monday and it’s going to take them 7-10 days to set the cans. We want to line them up with the cans. When you say $3.50-$5.50 that’s per square foot of the house? We are sprinkling the garage and all the rooms of the house. Exceptions (per code): closets that are under three square feet or 24 sq ft total; bathrooms that are under 55 sq ft as long as there isn’t any combustibles in the bathrooms. We usually sprinkle the bathrooms anyway. Does that pricing include all the parts and the labor? That price includes design, materials, and installation. We are complete shop. Would you say that the timing as being right after the cans are set is pretty typical across the industry? SH: Yes. At least on our side. Not all contractors do that, but we are one of them. SH: Yes, we can do it before cans are set as long as they mark the location on the floor so we can measure off of them. What is the price of the pump and the tank? Rough price – the City of Santa Rosa Fire Dept. said it has to be tied into your domestic also. With that being said, the new rough proposal is anywhere from $7500 up to $9000. That’s installed. Are you getting calls asking for cost estimates for insurance? What is the minimum psi you can work with before you would need a pump & tank? We’re getting systems to work with 50 psi. There’s a lot of intangibles for that. One being what size is the street main to the meter? If it’s one inch, it’s not a problem. Coffey Park had ¾” and we’re getting that to work with 60 psi. With that being the case, I lose roughly 12-15 psi and 15-20 feet of pipe just from the street main to the meter. And I haven’t even gone through the backflow preventer yet and up to the house. Without knowing exactly what you have, I can’t be specific without a calculation. Single story vs. two stories require different calculations. Start losing pressure with ¾” and two story house, but we’re making those work. I’m sharing a T with a neighbor so I guess I’m okay assuming he doesn’t do anything? Code states its each individual house. Odds are you have a one inch line coming over to your two meters and it splits off – quite a few of those in Coffey Park which helped out with the calculations. You’ll still get a new meter, have a one inch going across sidewalk to your new backflow, from there we’ll upsize going to two inch over to the house, and then from two inch you’ll have a main shut-off, and then you’ll have a T for your domestic with another shut-off and then our riser assembly above that. I would like to use my pool as the tank, will I need a special pump? The pool will be extra storage. Are you in the County? You’ll have a draft hydrant set up off of your pool. You’ll still need a pump and tank because there isn’t any pressure behind your pool. Haven’t done one like that. Will have to look into that. You’re going to have a pump and tank on your well anyway to make sure that covers the sprinkler demand. Question for another BC: Are you passed this point? Have you gotten your pressure reading at the street? Do you know what it is? BC: Plans have been submitted to contractor and I’ve asked him to let me know if I need a pump and tank because I want to explore every option out there. We just poured our foundation today, so…My assumption is that the pressure is at about 40 based on other areas that I know and the hydrant in front of my house. We’re having a pressure test done Friday or Monday. Is that when they determine what the pressure is? It depends on who is doing it. I’m guessing the sprinkler contractor already had some sort of reading prior to design. Are there any special requirements going beyond two stories? We’re actually 2 ½ stories. No, it’s based on the elevation from your meter. So we won’t know until we’re well into this. How can we budget? You can still budget. You can tell me you have a 3000 sq ft house, can you give me a budget? I’m going to tell you $15,000. It’s going to be on the upper end, but you’re going to be covered for the most part. Do steep roof pitches affect anything? It does for spacing. Steep roof pitches, we have to increase our flow. Are there fire sprinklers in the attic space? Per code, there is one sprinkler head located at or near your attic access, depending on relation to whether or not you have an HVAC unit up there. Sometimes one will work, other times two will be installed. Research and tests have determined that a two head calculation – which would be found in a 16×12 room – will put out 26 gallons a minute. This is enough to suppress a fire long enough the residents to vacate and the fire department to arrive. In attic – is it a flexible plastic line or copper? It is a fire-rated CPVC (Chlorinated polyvinyl chloride is a thermoplastic produced by chlorination of polyvinyl chloride (PVC) resin, which is significantly more flexible and can withstand higher temperatures than standard PVC). Takes a blow torch for about five minutes to make it basically melt. It’s orange. Strictly meant for fire sprinklers. But it is allowed to be used in your underground if you plumber wants to install that vs. PVC or copper. It is drinking water safe. Do systems have to be inspected annually? Per code, it does not as of right now. State of California is pushing to have an extra line item added to required codes and testing, so it is coming, but no expectation of timing. Imagine existing homes would be grandfathered in. Do you recommend an annual, biannual or every five year inspection? It’s a lot for a homeowner to perform an inspection. Because it’s a local alarm only – a 6” bell on the outside of garage, front of your house, or under your eave – you can run it yourself. Let it run for a few minutes, flushes the system out. Rings the bells, annoys your neighbors and then you’re good to go. Bell is about 90 decibels. And yes, you’ll all going to have one of those. And there will be horn strobes – flashing beacon with audible alarm. What causes the sprinkler system to go off? (How much heat?) Big misconception is that if one sprinkler goes off, they all go off. This is not the case. It depends on where the heat builds up. If the head closest to the source of heat cannot suppress the fire enough, and the fire continues to grow and heads across the room, the sprinkler head above there will go off. Temp heads on the sprinklers require 155 or 165 degrees of continuous heat to set off. It won’t turn off until you shut it off. On underground that comes in there is a shut-off for both domestic and sprinklers. If you ever work on your sprinklers, it’s designed so that you cannot use your domestic which forces you to turn sprinklers back on. Can you turn them back on yourself? Fire department will have to turn them back on. When sprinklers go off, the head plate pops off and reveals spearhead. Each install comes with a box of replacement spearheads. Fire department will pull out spearhead and replace it, along with the plate that popped off. Plates come in a variety of finishes, including faux wood grain. Once sheetrock and paint up and homeowner ready for final inspection, Alpha comes and trims everything out and presents plans, instructions, and replacement heads to homeowner. Placement near fireplaces – code requires minimum of 60” from front of unit and 36” away from sides. Possible scenarios include – if insurance provides $25,000 for debris removal, that is what property owner is expected to pay the government. If policy says you have 10% for debris removal and there aren’t any funds remaining at the end of the rebuild, property owner would not be billed. The County anticipates property owners who have had to remediate over-excavation out-of-pocket can deduct that expense from the billing amount in the Cost Reports – to basically add this amount to your rebuild cost. SAVE ALL RECEIPTS. Question posed – are those who suffered from over-excavation going to have to wait a year before they have issue of cost resolved? Question: what is the takeaway from this event? Question came up – is there a way to bring forth a proposition or referendum approved by voters to prevent utilities from shifting liability? One block captain is working with a group to have vendors and service providers present products and packages offered to fire survivors at potential discounts. Group brainstorming other vendors – water filtration systems, interior design, etc. Would like to partner with builders. How long will temporary community boxes be in place? The below was sent in advance of the meeting notes. But has tons of information! Official notes from last night’s meeting will be forthcoming early next week, but below is the list of updates & announcements that I did not completely get through last night. Grab a glass of something cool and refreshing and have a read. Supervisor Zane will be donating $10K of her TOT (Transient Occupancy Tax) to the Rebuild Northbay Foundation, who will act as a fiscal agent for incurred expenses as deemed appropriate by the block captain group. Please bring ideas to the August 30 meeting. PG&E deadlines for requests for temporary power at no cost has been extended through 2019. Previous deadline was through 2018. Scheduled: August 30 – Caerleon Safford, Public Information Specialist from the County’s Fire & Emergency Services Dept. Thank you all for taking the time to read through all of the above. Does the group want a representative from a state legislator – Senator McGuire, Assemblyman Wood? What is state’s responsibility in helping fire survivors? How can they communicate better with survivors? Are there state programs that can help survivors that group is not aware of? Question of this being a City or County requirement and if post-disaster variances are in place. Sheds to house tools, building supplies, appliances, sinks, etc. Please note: The August 2 meeting has been moved up to Wednesday, August 1 at the HR Training Center at 5.30PM. HVE and FG – essentially, there are no City infrastructure solutions to creating enough water pressure for fire suppression systems in all areas. Water delivery system physics are at issue, not equipment or materials. In general, if pressure is below 50psi, a pump and possibly tank is going to be needed. ADDITION – Fire Department is seeing systems successfully designed at 40 PSI in the Fountaingrove area without pumps. This will be a site by site determination. Fire Sprinkler contractor can also perform flow test (bucket test) to determine available flow at service point. Average cost for 1500-2000sf home between $2000-3000 (but that is based on current averages—the City does not see the actual costs as part of the permitting process. essentially, keep in good contact with the City, who will work with you to extend as long as good faith efforts to continue rebuilding/looking for a replacement contractor/overcoming issues, etc. The City can not commit to reinstalling the landscaping in the planter strips at this time. There are both state and local codes that place this responsibility on the property owner. Due to this fact, the City likely cannot obtain FEMA reimbursement for any replanting. The early discussions involved the concept of tracking down grants to assist with the replanting. It’s too early to tell if this will be a reality. The City will only be removing trees that did not survive the fire (as determined by the arborist). If the trees are coming back, it’s highly doubtful that they will be removed. I will chat with the Parks Department regarding the concept of the property owner tagging trees that they would like to keep. I’m guessing that these trees will be showing signs of life and will likely not be identified by the arborist as a removal. There isn’t a September deadline at this point. I received an email from Parks and it looks like the tree removal has been push out to December. City is working with Coffey Park and HVE homeowners on simplifying plans and requirements. Question: There are a lot of stressed-out survivors with anger toward the city about the landscape approval time frame. We seem to concur about importance and compliance of low water landscaping; however, the encompassing feeling is that, in the face of unprecedented disaster, the city must focus on getting survivors in their homes, getting dollars back into our economy and realistically, defer the landscape process further with new timelines. Perhaps there can be warnings and fines for those who don’t comply? Hire a landscape architect or landscape designer to develop a custom irrigation and landscape plan for the site. The plans must meet all the requirements within the Water Efficient Landscape Ordinance. Plans must be submitted prior to sheetrock inspection and all landscaping and irrigation components must be installed prior to occupancy. This is the method utilized on all new homes that are constructed outside of the fire damaged areas. We’re also seeing it being used by some of the larger developers in Coffey Park and it will likely be fairly prevalent in the custom homes in Fountaingrove as well. This option does have a tendency to have a higher price tag due to the additional design cost. The template plans can be modified by the property owner to include desired plant types. Plant types must stay within the same usage category (low water use plant exchanged for low water use plant). This is needed to maintain the ratio of low and moderate water use plant types included on the plan. The overall plantings can also be reduced to defer costs. Property owners can reduce plantings by simply changing the plant counts in each irrigation zone. Plant types may be reduced by 50%. We’re currently discussing allowing a further reduction to possibly 25%. Property owners may also elect to defer any plantings shown in the narrow landscape strip that exists adjacent to the driveway (on a rectangular lot), as well as the planter strip adjacent to the curb. The tree count may not be reduced. Maintaining the tree count, reducing all plant counts by 50% (possibly 25%) and deferring any landscaping installation in the strip adjacent to the driveway and the sidewalk planter strip will be recognized as the minimum amount of landscaping required prior to occupancy. These requirements are designed to hold off weeds for the 2 year period, allow the irrigation system to be easily extended in the future and provide some softening of the buildings through the installation of the tree. Question: Those aware of the Saving Water site misunderstood how to utilize the site plans. I explained to them that, as per my visit to Room 6/RCRC, a properly drafted landscape + irrigation plan, modified to their site, must be submitted. During the same visit to Room 6, it was recommended by staff that a landscape professional be hired for this task, to which I commented that a lot of people rebuilding don’t know that. The misconception by people rebuilding was that a chosen plan could simply be printed out and submitted for approval, and that the modification would happen later, on site. If their builder doesn’t have a professional on payroll, people need to know that they need to hire a one ASAP, to get in line. Answer: You can have a design professional assist you with the utilization of the plan, but this is definitely not required. I’m sorry that you were told this at the center. I believe this was a reaction to the format of the template drawings. On the surface, they are a bit complex. We all wish that they would have been prepared in a fashion that was easier for the property owner to understand. The meeting we were trying to schedule last week was intended to offer an opportunity to walk you through the steps needed to modify the template design. We met with a small group from Coffey Strong last Thursday and it seemed to be very helpful. They definitely gained a better understanding of the process. It is actually fairly easy to modify the plan once the concept is understood. We’re developing a few “how to” resources associated with the plan modification and we’re hoping to get some direct feedback and determine where people are really struggling. Answer: When did you visit the center? The site and the plans are currently complete. There will be additional resource guides developed to assist with the utilization of the plans. The requirement to submit irrigation plans has always been set at the sheetrock stage. This requirement is listed in our submittal guideline document, which was developed a few months after the fire and has been widely distributed. Prior to the template plans being available, we were allowing the building plans to simply state the property owner’s desire to use the template drawings. We actually had a few owners occupy prior to the partnership completing the plans. We did not hold up that process. Depending on when you visited the center, the information may not have been incorrect. Question: Having worked in the busy landscape industry of Oregon (nurserywoman, landscape tech and drafter), I was very concerned about landscape architect availability and their capacity for new projects in a fire ravaged area with over 5300+ homes. I contacted several landscape architecture firms throughout Sonoma County and got a dismal response. Just 3 firms returned my calls – after a few weeks! One firm was a ‘no’ right away (no longer had a landscape architect). The other two were swamped with existing customers and projects. Only one could squeeze me in for an estimate. Answer: Please see above. A landscape architect is not required if you’re using the template plans. Question: Concerned about drought plant availability for over 5300+ homes, I then talked to some landscape professionals and even visited a very large local nursery. Everyone is concerned about available stock and feels the city is not aware of shortages. The nursery admitted that some of their drought tolerant mainstays have yet to arrive from growers due to lower spring/summer temperatures affecting growth vigor. Some plants are not even available in 4” pots due to stock going to the Nuns fire landscape recovery projects. I encouraged them to attend some of the city meetings to help everyone understand challenges sourcing living plant materials in a disaster zone and how this skews timelines. I hope they do. This nursery encouraged people rebuilding to maintain monthly contact with them to see what their stock is looking like. They cannot hold stock indefinitely since it’s living material and needs to go into the ground. Answer: The ordinance controls the overall water use of the site and does not necessary require all drought tolerant plants. You can actually install high and moderate use plants in low quantiles. There is also a path to get small amounts of turf. Availability of materials was a concern in the early stages of the rebuilding process and will continue to be a concern throughout. There likely will be issues during periods in which construction is running rampant. The 5,000 units will be metered out in some fashion over the course of some undefined period of time. Suppliers are adjusting to the peak demands and contractors are sourcing materials over a wide range. I can’t say that we won’t see more significant issues on this front in the future. If that turns out to be the case, we’ll try to find ways to free things up from a policy standpoint. Question: Overall, most survivors I have had discussions with seem to be on board with installing drought tolerant plants. They want a low water, low expense and low maintenance landscape. However, our both razor sharp and exhaustive focus and deepest yearning is to be home, get our feet on the ground and our heads on straight. Every step in the rebuilding process is unbelievably problematic, complicated and immensely overwhelming. We don’t have the capacity right now in our struggle to pick plants, deal with shortages or stress out about not getting callbacks from landscape firms or hear that they are booked out for months. The thought of landscaping delaying occupancy is beyond upsetting, unthinkable and unacceptable. We’ve already seen the stress of rebuilding drive away friends and neighbors. For some in our circle who are teetering on the edge, dealing with the landscape process might be the straw that breaks the camel’s back. We don’t want to lose any more good neighbors. Answer: I do understand the frustrations and I know the various layers of development can be incredibly complicated for individuals that do not do it on a regular basis. It’s often very challenging for those that do it for a living. Installing landscaping as part of the development of a new home is a pretty standard process. It’s been occurring on new home construction in Santa Rosa for as long as I can remember. The installation is typically always performed prior to permit final. Contractors are accustomed to working this aspect into the overall coordination. The solutions we’ve provided further simplify the process due to the fact that they do not require the services of a licensed professional. The home owner can install the majority of landscaping after occupancy. The Block Capns (BCs) asked this question: What is the connection between input from the resiliency listening sessions (see more here and on this ORR Recovery Town Hall Flyer), the consultant hired by the County (Horne LLC), and state and federally funded programming and resources, particularly with respect to fire recovery? Or, How do they help fire survivors? In addition, a Spanish language Community Meeting is being planned and details will be announced shortly. ORR: This is one of the key storytelling and listening tools. Community engagement is a requirement to apply for public money (state and federal grants). BCs: There is a concern that resources will not directly benefit fire survivors. Community Development Block Grant-Disaster Recovery (CDBG-DR) funds must benefit individuals and families directly impacted by fires (fire survivors). Needs assessment determines how funding is spent. Not sure yet how the pie will be divided. State and federal government will decide how the money is allocated. Different funding streams will address various aspects of recovery and resiliency. There will be more opportunities to provide input outside the workshops. The needs will evolve at three, six, nine, twelve, eighteen… month milestones. The needs assessment will need to be a living document. These 5 meetings are not the only way or time for input; fire survivors should decide if they want to engage now or later. These meetings include planning for allocation of non-disaster funds as well as disaster-recovery funds. People who lost homes are experiencing a very different reality than other impacted community members. Effort should be directed at keeping fire survivors here, rebuilding, recovering. How do we support disaster survivors in particular, as we face future disasters? Would like more of a navigator type of assistance from local government. ORR: Some middle class/income people are failed by the system because they do not qualify for traditional needs-based assistance, nor are they wealthy enough to absorb significant and mounting extra costs. They are exhausting emotional and financial reserves faster than populations below and above their income threshold. BCs: Another perspective is to keep focused on fire emergency planning and all disaster resiliency matters (defensible space) as local fire prevention efforts might affect insurance company policies/prices in our WUI zones. Neighbors recommend putting “no trespassing” signs on properties. One neighbor notices people walking around the area without regard for private property. Large, widespread problems (like water infrastructure) need public subsidies. Should not be on individual homeowners to address one by one. (County recovery grant writer suggests we put together a simple needs assessment to guide grant application efforts. Michelle and Tracy can help with this with input from Block Captains). New data on Benzene levels and new map with Benzene levels. Can City provide temporary carbon filters during construction so that property owners don’t accidently spread contamination if Benzene is present in their water? What about water pressure issues in each neighborhood? Can city isolate/identify/provide data on pressure, street by street? Need more definitive answers to pressure questions as relate to state code mandated sprinklers. In Redwood Valley a state grant funded new water infrastructure to mitigate pressure issues. (Can add this to needs assessment noted above). Large, widespread problems (like water infrastructure) need public subsidies. Should not be on individual homeowners to address one by one. (Can add this to needs assessment noted above). Burnt trees in public space (eg along Paulin Creek in HVE) that pose imminent danger to standing homes or burnt lots with planned or current rebuilding – how to report and resolve? City/County responsibility and timeline for cleaning up public areas, eg the Parker Hill creekside path from Leete to Stagecoach? Burnt trees on empty lots that pose imminent danger to adjacent lots – how to report and resolve? Rosie P’s questions. She will hopefully provide an updated list to Gabe directly before July 26. Santa Rosa sample landscape plans still not ready, but the City won’t hold up rebuilding due to this. Will occupancy permits be issued if front landscaping isn’t done? The City also said that the City’s front yard landscaping plans still need a professional (landscape contractor or architect) to draft it up to a homeowner’s specific site’s specs for review. Is that true? That is yet another expense. And those professionals are already fully booked. Non flammable mulch? I have a photo of the mulch in my front yard smoking and burning. I know we are restricted in the amount of gravel what about fabric weed block and River Stones instead? Irrigation Item – Can your department provide a listing of approved suppliers/products so we can be confident we purchase appropriate and approved supplies? The permit is valid for one year with possibility of extension. If you ask for extension, you will have to update the plans to current code, you will not have to go through soil engineering…if nothing changed structurally on your lot. If you don’t start building for one year, and you ask for an extension, how long does the extended time period last? After weed abatement, where does the green waste go? Disposal options? Recology? (Michelle got Recology to donate some green waste bins. Placement can be discussed at next block captain meeting). Can Sonoma County’s health lab provide water testing services for fire survivors? (Michelle will look into this). Pre-fire setbacks can be grandfathered. You can rebuild your fence at the pre-fire setback (with same height) if rebuilding commences before October 9, 2020. The permitting person compared pictures of pre-fire lot from their database, the setback of my fence, looked at my neighbor’s fence to check that they have the same setback than me. Note: the actual code is: 3′ height fence permitted within front and side setbacks, 6′ height fence permitted outside front and side setbacks. Front and street side setbacks are 10′, measured from back of sidewalk or property line whichever is more restrictive. This mainly is a concern for neighbors along Parker hill road (traffic, privacy). So it might be wise for those not rebuilding right away to at least put their fence back if their fence does not meet the actual code. I attached the section of the ordinance that the permit person kindly copied for me because you might want to show it to your builder: my builder insisted on building my fence with a 10′ setback from back of sidewalk. Answers to primary questions parsed out of the City’s online weed abatement information Here» and detailed at the City of Santa Rosa weed abatement page ». Area that comes closest to addressing needs of fire survivors is housing; at the 4th District Recovery Planning Community meeting, the feedback focused more on general homelessness, farm workers, and the need for a living wage. There was a report that Red Cross was distributing checks again and the question arose of who is determining the needs and how are funds applied for? I also reached out today to the Office of Recovery & Resiliency (ORR) to follow up on the questions and concerns raised last night. This is the County office that is conducting the community planning meetings. The Board of Supervisors – who previously determined what the five strategic areas were to be – wants input from our community on how best to move forward in the recovery and rebuild process. While obviously not everyone in the County suffered the devastating losses all of you did, the fires did impact our whole county community on many levels – including the economy, businesses, workforce, infrastructure, mental health of residents etc. Because so many people have expressed that the fires impacted them on some level, and the feeling that everyone cares about a successful rebuild and recovery period, the Board of Supervisors have a strong desire to receive input from all segments of the community. I did receive a strong message from ORR – which I believe is the sentiment shared at the meeting – all of you should absolutely be attending these meetings – expressing your needs and sharing your concerns, suggestions, and thoughts so that your voices are heard along with everyone else’s. This is a listening session. It’s not a town hall to provide answers to questions. It is truly intended to provide the Board with opportunities to hear what the members of our community all want and need. See this NTSR page » and Sonoma Clean Power » and this SCP page » for more detailed info. Recommend homeowners and their builders come in prior to submitting permits, but happy to meet after permit approved, too. On the agenda but not discussed. Email Tracy with suggestions. • Engaged in commercial work only for right now. Family here since ~1900. Helping fire victims at no cost with simple tasks—i.e. writing letters to insurance companies about cost per sq ft to rebuild, reviewing contracts. Does not have the time to do full blown estimates. Has documents about how to select contractors, architects. In his opinion, “margin” is a scam, and he will address that. • Ideally, there should be no surprises. Bring contractor on early. Demand accurate pricing, AIA (Architects Institute of America) contracts tend to be fair, neutral. 70% fixed prices, 30% up in the air is reasonable. To keep a project on track timewise, homeowners need to make decisions in a timely way. Can have a liquidated damages clause to account for slower than promised progress (i.e. $1,000 week for late projects). Check references! Hold retention (5-10%) to incentivize job completion. • Common types of contracts have different tradeoffs—cost plus, fixed price, time and materials, lump sum with allowances—all have varying levels of certainty around cost containment. Solicit bids from as many subcontractors as possible. Demand copies of subcontractor billings. Options around billing include monthly, every two or three weeks. Don’t let them slide on the first bill because then they will slide on every subsequent bill. Be vigilant on tracking, reviewing bills. Contractors, suppliers usually have lien rights on your project until their bills are paid. Good contractors will show you copies of invoices, checks if requested, lien releases, etc. • Preliminary liens are notices that a contractor will be working on your project and that they expect to be paid. Will come to you and your lender, if applicable. • Work with a reputable builder, and don’t fall behind on payments. • Contractors Licensing Board can only tell you whether the contractor’s license is in good standing. Have to do your homework—make sure they have insurance. • Contractors often charge 12-25% markup (profit). Ask to see all costs, and markup should be calculated on bottom line. “Margin” is more convoluted way of calculating profit. “Job overhead” is the cost of doing the work (trailers, etc.). • A lot of contractors don’t like “joint checks.” Keep up on the lien process. State Contractors Licensing Board has boilerplate templates for contracts, lien releases. Expect good level of detail in your pricing, bid documents. • Production homes, production builders, are completely different situation. As long as you’re happy with the product, the line items are less of a concern. • Economy of scale advantages if you can bundle projects with your neighbors. • Mike is willing to do a workshop to provide an expanded version of information provided tonight. • Be careful when contractors do all their own work. Can be a conflict of interest. Is he working in your best interests or in his own? • Have insurance on your property while it is under construction. • If construction worker gets hurt on your property either worker’s comp or personal health insurance should cover the injury. • Different aspects of the project have different warranties. One year is standard. Latent defects are 10 years. • Progress in Coffey Park is blazing the trail for FG and HVE. • Public portal has all information re your lot. Centralized information https://srcity.org/2675/Rebuilding. Setbacks, fault lines, etc. (He/we spent a lot of time poking around this website.) More information will be added. • Online tools more efficient utilization of staff and other resources. Information retrieval that would previously take a planner four hours can now be done in five minutes by the property owner or rebuild team. • PG&E did a considerable amount of damage as they restored power. They will fix. • 700 building permits already; will probably hit 1000 within first year. Biggest volume coming from production builders. • Many Fountaingrove homes will likely be built in 20 home clusters by builders offering semi-custom homes, can take advantage of economy of scale to reduce price per sq ft. Fully custom homes will be one offs, no economy of scale, more expensive per sq. ft.
• Code updates on a three year update. Last adopted in 2016, so due in 2019. Can be minor midyear changes, always adopted July 1. Update this year is that windows and skylights have the same code requirements. What applies to your rebuild is the code in effect the date you file your permit. • City and County different on landscape requirements. County doesn’t require front landscaping for occupancy, City does. Landscaping requirements kick in when you pull a building permit. Weeds must be knocked down on vacant parcels to mitigate fire danger, reduce fuel load. Homeowners who decide not to rebuild must mitigate storm runoff, for example with straw. • Some zoning codes are flexible, others are extremely stringent. Be mindful. • It is possible to put one house straddling two lots with a ministerial lot line adjustment if you own two lots. • Signage is being created with contact info for code enforcement, reporting noise complaints. Santa Rosa Police is the contact for noise complaints. • Gabe will be back on 7/26. 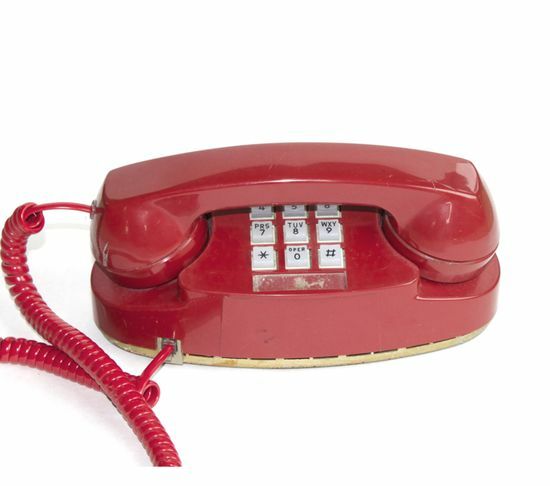 • Phones requiring electricity (eg a cordless phone) will not working during a power outage. 4. What Happens to land lines and cell towers if they burn again? Back-up Plan? 6. Inadequate Cell Services before and after the fires. Short answer: Can’t just request to have new/additional cell towers in HVE. • Ask Keysight to place a tower on their property? Regarding Dig Once – some Cities are beginning to establish Dig Once Policies, meaning during any construction (open trench) project Cities and Counties put in measures that include broadband specific empty conduit that could then be made available to one or more providers to occupy. I reviewed the changes to California Building Code (CBC) Chp. 7A. The Wildland Urban Interface regulations had some changes made that could impact rebuilds but not in any major way. The materials testing standards (ASTM) have been amended for testing building materials such as siding, deck wood, windows, doors… This should have little impact for homeowners. Skylights now have to meet the same standard as windows. 1 pane of tempered glass. Decking materials have more specific testing standards in order to meet WUI standards. Accessory structures needing to meet WUI have been more clearly defined in terms of distance from main residence. It is still 50ft. but the code added clarification regarding accessory structures (detached garages, offices, barns, pool house…) and miscellaneous structure (trellis, arbor, gazebo, patio cover…). In summation, the biggest changes are the testing standards for material suppliers and adding skylights to the same standards as windows. Enter your parcel number or your address and you can see if you are in an SRA or LRA, area along with a lot of other parcel information. State Responsibility Area’s (SRA) require Wildland Urban Interface standards (WUI). Local Responsibility Areas do not. Click here: Know Your Overhead Lines flyer. Supervisor Shirlee Zane welcomed the group and spoke for a few minutes promising continued advocacy and support. Group disappointed that there wasn’t any follow up after Sen. McGuire town hall re: legislation. Would like to receive updates. Pulling our voice together is really important.  The burlap wattles are all straw. Request to reach out to standing neighbors as well as fire survivors. Topics for future agendas can be submitted by the group. Group members, like Matt, who are further along in the rebuild process can share their experience with this group, but what would that look like? When, where and how can people further ahead in the process share their knowledge?  Everyone moving at different paces. Doug would like to collect questions from his neighbors and submit to Tracy for answers. Tracy can submit to the subject matter experts. Can we organize, sort questions into functional groups? Would also help with getting appropriate speakers to address the need. Questions for the City – submit to cbarnes@srcity.org and ccoursey@srcity.org. Should also submit to Tracy for the question master list. What is the most efficient way to communicate?  May be an economy of scale volume discount if anyone is interested in joining their initiative.  Can the City help with connection to FG HOA. Ask Caluha. How effective can we be without an effective HOA?  I lost my phone number; how can I get it back?  I am still paying for equipment lost in the fire. Can you help?  How are you building resiliency into the emergency notification system?  What if cell towers are burning? Land lines burning?  What about copper infrastructure? True, non-electric land lines? Group would like to be able to edit the question document. Representatives from California Hope were in attendance, as well as Andrea Rodriguez from Congressman Mike Thompson’s office.  Wildlife urban interface, skylights, decking etc. See Post-Fire Coping and Free Counseling for more information. 8. Self-Care – How’s Your Five? • Trauma has a way of overtaking your identity – but you are not your trauma. You are more than that. • Can the City provide an ombudsman or navigator for any rebuild questions? • Gabe Osborn from Santa Rosa Planning and Economic Development has been willing to attend many public meetings. We will request that he attend one of our upcoming meetings. • Whose jurisdiction is the mailbox placement question? • Where can trees be planted? • Several people are building concrete homes. One block captain is using a contractor from Lake County. June 7: California Hope – a counseling service funded by FEMA that provides free, on-site (come-to-your-door) type counseling for those impacted from the fires. The speakers scheduled for both June 7 and June 14 can be rescheduled for a later date should you choose not to meet one or both weeks. Perhaps you can reply just to me – not reply all – as to whether or not you see value in meeting June 7 and June 14 and I will report back on the consensus. Sharing some video documentation that follows a couple engaged in a rebuild in the Hidden Hills neighborhood off Riebli Road that has been posted on Youtube by Permit Sonoma at this page. Recognizing City and County processes differ in some ways, we thought these would be helpful for you to view at your leisure. In total, they run a little over 10 minutes. Definitely urge you to subscribe to the Permit Sonoma YouTube channel if you find them helpful. Upcoming videos will focus on insurance and County’s Energy and Sustainability Division no-cost rebuilding consultations. The 1st District office received a call about a contractor who has 4000+ yards of clean fill dirt in Calistoga. This could be a good option for some folks if you need fill. Contact Bald Mountain Development Project Manager Robert Chrzanowski, 707-310-7149. Site address 400 Silverado Trail, Calistoga. They are helping to load trucks with the dirt. Looking forward to learning if the United Policyholders meeting provided some value to those who attended. Tara Soekland, Customer Outreach Specialist/Rebuilding, and Brian Bottari, Govt. Relations from PG&E were introduced. James Bordessa, Director of Construction at Comcast teleconferenced in. Utilities coordinating with joint trenches – gas, electric. • PG&E will then provide temporary power and set the meter. • PG&E and contract crews started working to repair some of the damage infrastructure and they have a goal to be complete by the end of the year/early 2019. There was a discussion about possibly using a cloud-based source like Slack, or separate (non-County) website to disseminate resources and information. Individuals with tech skills to contact Vita. Concern was expressed about not having all neighborhoods represented. Some are well represented while others haven’t any.To help address this, 3rd District office will create an outreach piece and post on Next Door. Suggestions made to “paper” flyers on empty lots, small businesses still frequented by residents, e.g., Rincon Valley etc. Discussion about showing others the meetings are a productive use of time. What are the goals? General consensus more input is needed from the City of Santa Rosa. 3rd District office to invite Mayor Coursey to a future meeting. A rotating agenda was suggested; with first Thursday of the month to include a City rep. The group agreed to cancel the May 31 meeting in favor of attending the United Policyholders meeting at the Glaser Center where the topic was about underinsurance. A schedule will be sent out as speakers are confirmed. Issues related to water, roads, traffic/parking, and safety requires presentations by City of Santa Rosa officials, which is being worked on by the 3rd District office. Should other topics come to mind, please contact Tracy Cunha. Attendees went around the table sharing their names, their neighborhood, their current rebuild status, and a brief summary of one of the biggest challenges they are facing. Of the 22 present, more than half are planning to rebuild but are at varying levels of readiness. There are some who remain uncertain. The 3rd District office is able to provide venues for the regular meetings, and will facilitate managing the meeting – providing notifications, agendas, and overseeing the implementation of the agenda at the meeting, etc. We will also schedule informational speakers in response to the needs of the survivors. Additionally, a summary of the meeting will be sent out early in the following week. Ben Horenstein, City of Santa Rosa Water Dept. Security issues/looting during rebuild – Police Dept? Start dates for roads being in place; parking & traffic needs – Jason Nutt (City of Santa Rosa Director of Transportation & Public Works)?